Cape Town - The music video for the biggest song of the year, Despacito, not only broke the record for most views on YouTube, but it has also attracted many fans to the Puerto Rico slum where it was filmed. Sung by Puerto Rican singers Luis Fonsi and Daddy Yankee, the American summer hit has put La Perla, a poor barrio just outside of an expensive tourist hotspot, on the map with its colourful houses and rustic charm. The influx of visitors has increased tourist spending in the community, as well as boost the overall image of La Perla. According to a Billboard journalist that went on the 'Despacito Tour', residents have jumped on board the craze by repainting their houses and building a skate park and pool, though still haven't received much investment from the Puerto Rican government. Some however have criticized this new fad as another example of 'slum tourism' where money from tourist endeavours doesn't reach the struggling community. 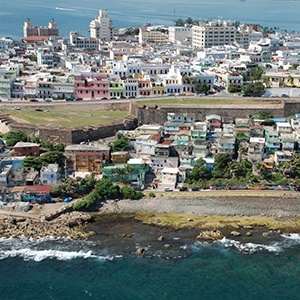 According to a video posted by AJ+, many tourism sites warn visitors about the dangers of La Perla, where it has been cited as one of the most dangerous neighborhoods in the world, willfully neglected by the government. A sudden surge in tourism won't fix all the problems of the community, but it is believed that the fame garnered by Despacito might be a good step in addressing these societal issues. Despacito wasn't the first music video to be filmed in La Perla. Nelly Furtado and Puerto Rican rapper Residente filmed a music video there for No Hay Igual back in 2009, though it didn't have the same traction that Fonsi and Daddy Yankee have gotten with their song. What are your thoughts on 'slum tourism', is it akin to township tourism in South Africa - email us at Info@traveller24.com.